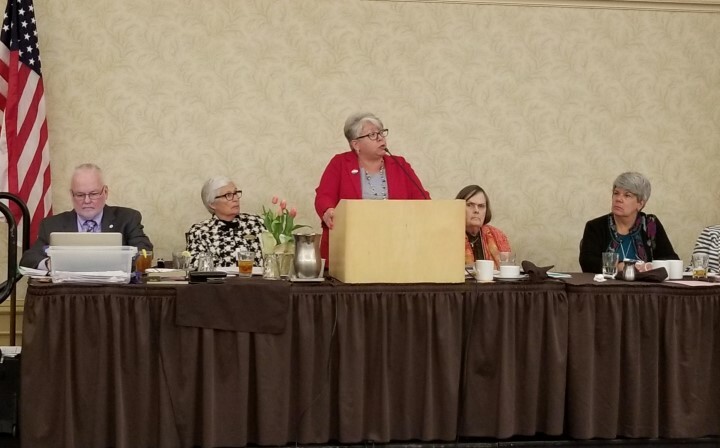 The 35th MEA-Retired Annual Meeting was held at the Crowne Plaza Hotel in Lansing on Monday, April 9th. Approximately 200 lifetime NEA/MEA members from all over the state were in attendance. During the business meeting, the Delegates approved the MEA-Retired Budget for 2018-2019, approved the 2017 Annual Meeting minutes, approved changes made to the MEA-Retired Constitution and Bylaws, and elected delegates to represent MEA-Retired on the MEA PAC Council. Delegates received updated information on current legislative and retirement issues facing retirees. Several speakers addressed the membership.